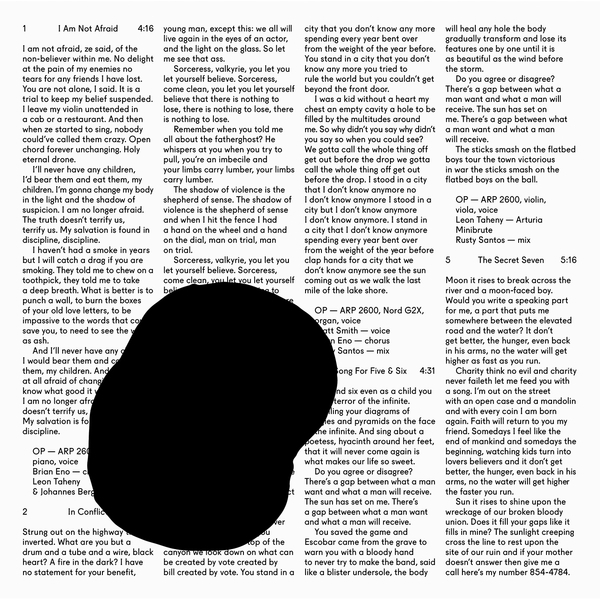 "‘In Conflict’ is the new album from Owen Pallett, written and produced by Owen and recorded by Mark Lawson (Arcade Fire, Peter Gabriel, Last Shadow Puppets). It features contributions from Brian Eno on synth, guitar and vocals and also The Czech FILMharmonic Orchestra amongst others. “It’s meant to approach insanity in a positive way” says Owen of the record. It’s full of love songs, conveyed in Owen’s inimitable cinematic, indie pop style.